Are you looking for a suitable conference hotel in Araganda del Rey for your next meeting or event? Use our free and convenient service in Araganda del Rey and receive comparable proposals directly from the chosen conference hotels in Araganda del Rey with just one online request and save a lot of time. The list below shows you the most popular Araganda del Rey conference hotels as well as conference venues in Araganda del Rey and gives you details about the hotel and its conference facilities. By clicking the name of the hotel you can view even more information, pictures or videos. Select your preferred hotels to start your free and non-binding online enquiry and you will start receiving your hotel proposals within a couple of hours. AC Hotel Arganda's meeting space is perfect for holding functions and business meetings. Meeting spaces at this Madrid hotel range from 24 m² to 75 m². Our meeting and event rooms are equipped with internet and direct telephone line. 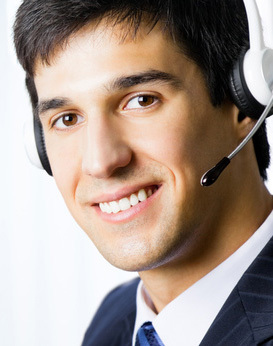 Take advantage of our Business Facilities service for computer equipment, mobiles and hostesses. AC Hotel Coslada has comfortable rooms available to companies and families. Fully-equipped for holding business meetings, seminars, ceremonies and social events. Meeting spaces at this Coslada hotel measure from 35 m², and the largest is 352 m². All rooms have natural light, internet connection, direct telephone line and audiovisual equipment. Haven't found an adequate Araganda del Rey conference hotel in our list or want to propose a different conference hotel? Please contact us! May we assist you with planning your conference in Araganda del Rey? Call or email us to benefit from our experience and use our free service to find suitable conference hotels in Araganda del Rey or in other destinations around the world. You will receive comparable offers directly from the hotels within a couple of hours.